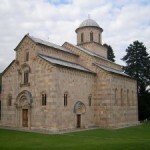 The flow and reflux of the Islam and the orthodox christianity has left a legacy of Kosovo of several artistically beautiful buildings, since they are Gracanica’s Monastery that has been located near Pristina and Decani’s Monastery near Peja’s city and certainly Sinan Pasha’s mosque in Prizren. All of them escaped of the violence that suffered Kosovo in 1999 and 2004. The field of Kosovo is visually attractive – it has plains opened in some places and the hills patchworked with beautiful fields in others. Behind Peja’s city in the southwest of Kosovo we find high mountains, often covers of snow, for example we can see the mount Djeravica with a height of 2656m, this one is the highest mountain of Kosovo. More in the eastern part, more near Macedonia, in the mountain chain, the tracks of Brezovica’s ski are a real tourist attraction of Kosovo. and Prizren objects of the province can of ilirios and the Albanian past. Kosovo’s status is controversial. Serbia considers Kosovo is an autonomous province within its own territory, in accordance with its own constitution and with Resolution 1244 of the Security Council Nations Unidas.7 The Serbian government is not directly involved in the administration of this territory since 1999, because at the end of the Kosovo War was his administration, mandated by the Security Council, in the hands of the Interim administration Mission in Kosovo United Nations and NATO. 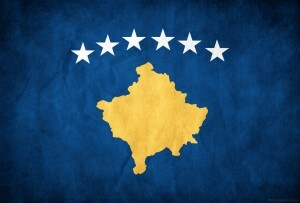 Meanwhile, the provisional government of Kosovo, in which ethnic Albanian territory has numerical predominance, unilaterally declared independence from Serbia on February 17, 2008 with support from the United States and most countries of the European Union, instituting the Republic of Kosovo. Today is recognized as a state by 98 of the 193 UN members. Serbia, Russia, Spain and other countries did not accept this fact unilateral or recognize the Republic of Kosovo as a sovereign state. Tags: Kosovo introduction. 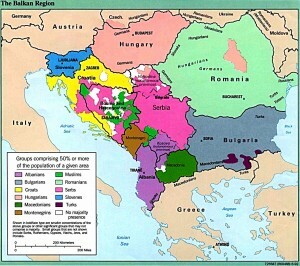 Kosovo Overview. Kosovo general information. Kosovo travel information. Kosovo and its cities. Travel to Kosovo. Visit Kosovo. Kosovo war.